In a new article, EW reports that the cast and crew of Dallas are continuing on, despite the loss of Larry Hagman and his scoundrel alter-ego, JR Ewing. They had completed five episodes of season two and were midway through the sixth when Hagman died unexpectedly. A JR scene that had been cut from an earlier installment will be inserted into the sixth episode. Executive producer Cynthia Cidre was tasked with adapting and changing the direction of upcoming scripts. She hand-wrote the seventh episode and kept her composure until she started typing it. The tears started to flow until she couldn’t see the computer monitor any longer. 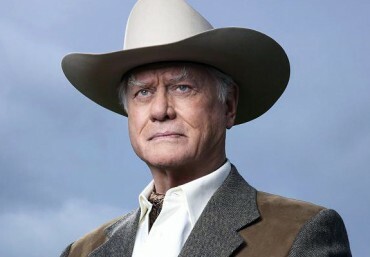 The eighth episode of season two will air on March 11th and will pay tribute to Hagman with a special funeral for JR Ewing. There will be plenty of familiar faces from the original Dallas on hand to help say goodbye. Season two of Dallas debuts on January 28th on TNT. What do you think? Are you looking forward to seeing how they will pay tribute to Hagman on the show? More about: Dallas, Dallas (2012), Dallas (2012): canceled or renewed? I have watched Dallas since it’s beginning. I going to miss when it stops. I wish they keep going on. RIP to the Wings! LARRY HAGMAN IS #1 in television!! Thank you Larry for portraying J.R. as no one else could’ve!!! “the house that Hagman built”…wow Patrick Duffy says the most poignant things! love him!!! !